However you want to cook them I LOVE potatoes. But some methods are healthier than others. 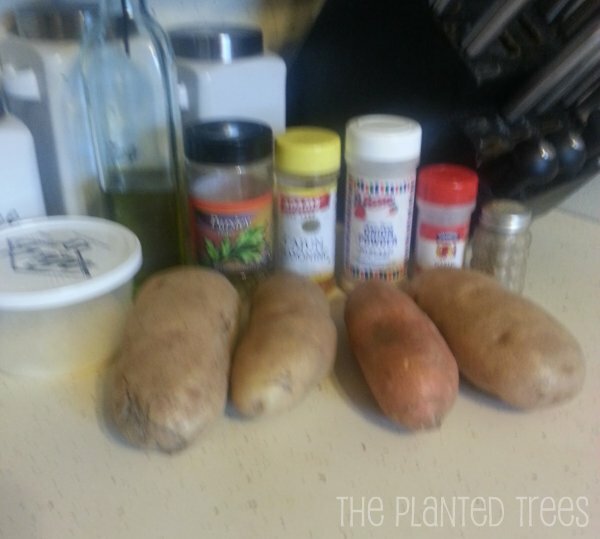 This potato recipe is so good. I love the blend of spices, the crispiness of the potatoes, and the flavor of Parmesan cheese, so I’m sharing with all of you. First, peel or scrub your potatoes. 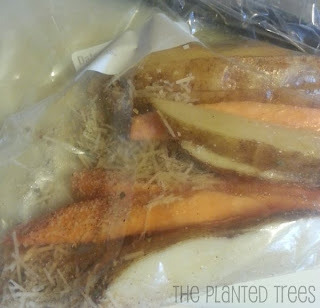 I peeled the sweet potatoes and scrubbed the golden potatoes, but left the skin. 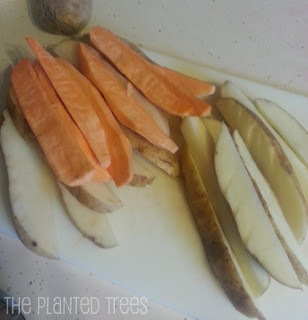 Cut each potato into eight wedges. Next, place potatoes in a gallon size resealable bag. Add oil; seal bag and shake to coat. 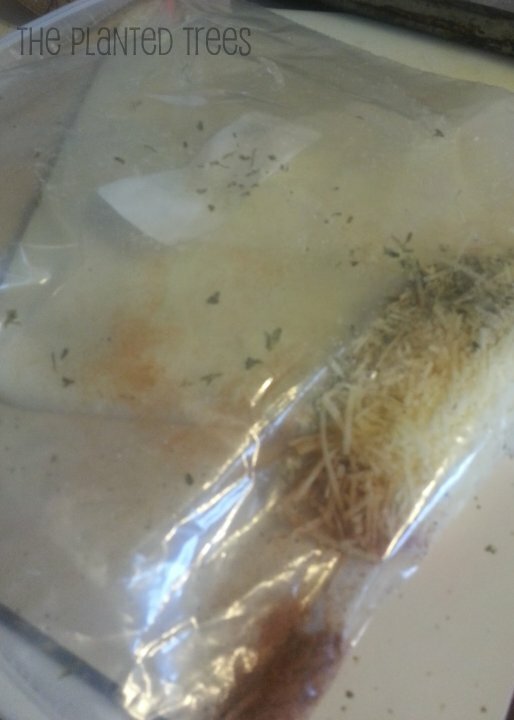 In another resealable bag combine the cheese and the seasonings. Add potatoes a few at a time and shake to coat. 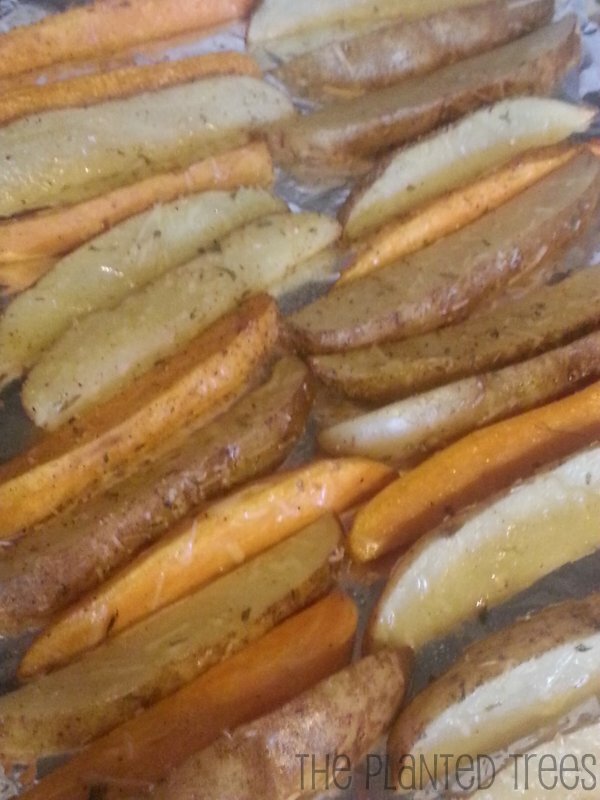 Place potatoes on a foil-lined cookie sheet sprayed with cooking spray. Bake uncovered at 375 degrees for 15 minutes. Turn potatoes and bake for another 15 minutes. The result is a flavorful side dish that is healthy and yummy. Peel and/or scrub your potatoes. Cut each potato into eight wedges. 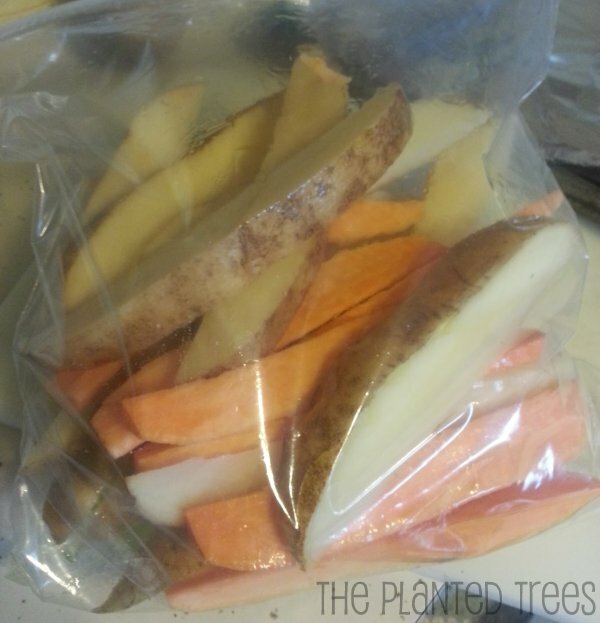 Next, place potatoes in a gallon size resealable bag. Add oil; seal bag and shake to coat. In another resealable bag combine the cheese and the seasonings; add potatoes a few at a time and shake to coat. Place potatoes on a foil-lined cookie sheet sprayed with cooking spray. Bake uncovered at 375 degrees for 15 minutes. 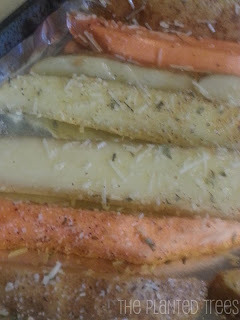 Turn potatoes and bake for another 15 minutes. I'm linking up with The Weekend Potluck at Frugal Family Favorites, so click over there and see what other goodies you can salivate over.